The unusual object, called CX330, was first detected as a source of X-ray light in 2009 by NASA's Chandra X-Ray Observatory while it was surveying the bulge in the central region of the Milky Way. Further observations indicated that this object was emitting optical light as well. With only these clues, scientists had no idea what this object was. 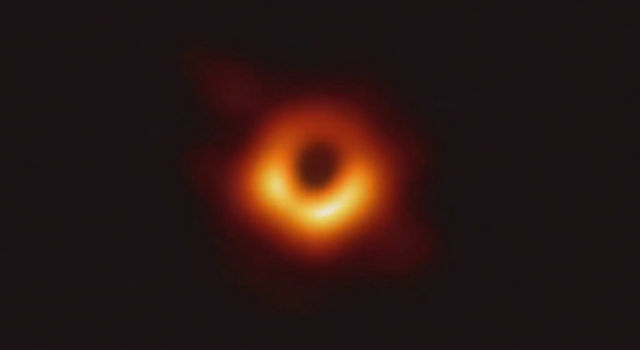 But when Chris Britt, postdoctoral researcher at Texas Tech University in Lubbock, and colleagues were examining infrared images of the same area taken with NASA's Wide-field Infrared Survey Explorer (WISE), they realized this object has a lot of warm dust around it, which must have been heated by an outburst. 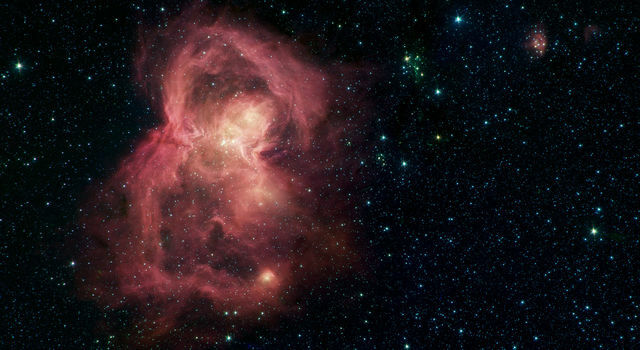 Comparing WISE data from 2010 with Spitzer Space Telescope data from 2007, researchers determined that CX330 is likely a young star that had been outbursting for several years. In fact, in that three-year period its brightness had increased by a few hundred times. 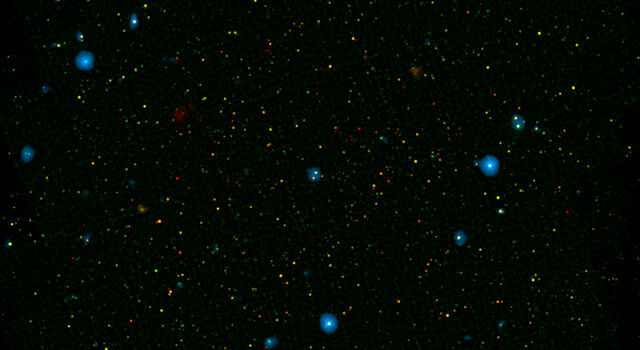 Astronomers looked at data about the object from a variety of other observatories, including the ground-based SOAR, Magellan, and Gemini telescopes. They also used the large telescope surveys VVV and the OGLE-IV to measure the intensity of light emitted from CX330. By combining all of these different perspectives on the object, a clearer picture emerged. "We tried various interpretations for it, and the only one that makes sense is that this rapidly growing young star is forming in the middle of nowhere," said Britt, lead author of a study on CX330 recently published in the Monthly Notices of the Royal Astronomical Society. The lone star's behavior has similarities to FU Orionis, a young outbursting star that had an initial three-month outburst in 1936-7. But CX330 is more compact, hotter and likely more massive than the FU Orionis-like objects known. The more isolated star launches faster "jets," or outflows of material that slam into the gas and dust around it. "The disk has probably heated to the point where the gas in the disk has become ionized, leading to a rapid increase in how fast the material falls onto the star," said Thomas Maccarone, study co-author and associate professor at Texas Tech. Most puzzling to astronomers, FU Orionis and the rare objects like it -- there are only about 10 of them -- are located in star-forming regions. Young stars usually form and feed from their surrounding gas and dust-rich regions in star-forming clouds. By contrast, the region of star formation closest to CX330 is over a thousand light-years away. "CX330 is both more intense and more isolated than any of these young outbursting objects that we've ever seen," said Joel Green, study co-author and researcher at the Space Telescope Science Institute in Baltimore. "This could be the tip of the iceberg -- these objects may be everywhere." In fact, it is possible that all stars go through this dramatic stage of development in their youth, but that the outbursts are too short in cosmological time for humans to observe many of them. How did CX330 become so isolated? One idea is that it may have been born in a star-forming region, but was ejected into its present lonely pocket of the galaxy. But this is unlikely, astronomers say. Because CX330 is in a youthful phase of its development -- likely less than 1 million years old -- and is still eating its surrounding disk, it must have formed near its present location in the sky. "If it had migrated from a star-forming region, it couldn't get there in its lifetime without stripping its disk away entirely," Britt said. CX330 may also help scientists study the way stars form under different circumstances. One scenario is that stars form through turbulence. In this "hierarchical" model, a critical density of gas in a cloud causes the cloud to gravitationally collapse into a star. A different model, called "competitive accretion," suggests that stars begin as low-mass cores that fight over the mass of material left in the cloud. CX330 more naturally fits into the first scenario, as the turbulent circumstances would theoretically allow for a lone star to form. It is still possible that other intermediate- to low-mass stars are in the immediate vicinity of CX330, but have not been detected yet. When CX330 was last viewed in August 2015, it was still outbursting. Astronomers plan to continue studying the object, including with future telescopes that could view it in other wavelengths of light. Outbursts from a young star change the chemistry of the star's disk, from which planets may eventually form. If the phenomenon is common, that means that planets, including our own, may carry the chemical signatures of an ancient disk of gas and dust scarred by stellar outbursts. But as CX330 is continuing to devour its disk with increasing voracity, astronomers do not expect that planets are forming in its system. 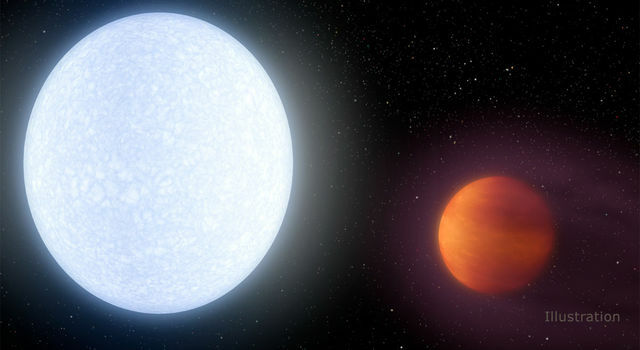 "If it's truly a massive star, its lifetime is short and violent, and I wouldn't recommend being a planet around it," Green said. "You could experience some pretty intense heat for a few centuries."